While coming up with candidates for the character meme a little bit ago, it struck me that Bunuel movies came to mind quicker than expected (“Belle de Jour,” “The Criminal Life of Archibaldo de la Cruz” and the recently Criterionized “Simon of the Desert” amongst others). After all, Luis Bunuel isn’t exactly what I would call a character-driven storyteller in the traditional sense, but maybe his non-traditional approach is what makes his work all the more memorable. 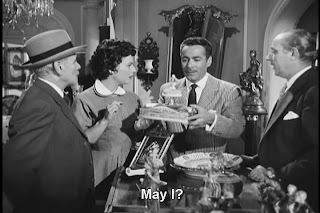 Bunuel doesn’t round out his characters with the type of psychological realism that explains all their actions and makes them seem like real, rational people. He often leaves motivation ambiguous and behavior erratic (“The Young and the Damned,” “Belle de Jour,” “This Strange Passion”) or uses characters as primarily symbolic vessels (his early shorts, “The Exterminating Angel,” “Phantom of Liberty,” “The Discreet Charm of the Bourgeoisie”). In extreme cases like “That Obscure Object of Desire,” he managed to do both, undermining familiar notions of character access and identification by casting two actresses in the role of the fickle female lead. But what makes Bunuel’s characters so great is that when he chooses to get inside their head, he literally brings their mind to life. His ability to plumb the depths of repression, fantasy and fixation and then visualize it on film is amazing. It made for characters that may make little sense within our everyday reality, but which fit logically into an often nightmarish neighboring surreality whose very contrast forced viewers to think about conventions, institutions and personal habits that Bunuel felt were too easily accepted or outright wrong. Sometimes this led to controversy, sometimes to laughter, and often to both. 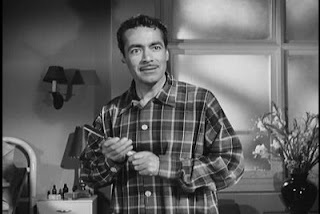 One of my favorite Bunuel characters, to whom I was only recently introduced, is Archibaldo de la Cruz (Ernesto Alonso) of the ironically-titled “The Criminal Life of Archibaldo de la Cruz” (1955). Like many men in Bunuel films, his dominant trait is an unhealthy sexual obsession, in this case merged with a murderous compulsion. 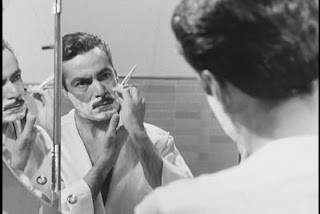 Archibaldo believes himself to be a serial killer, and very early in the film he turns himself in and confesses as such, but luck (good? bad? tough to tell…) has condemned him to innocence. As a spoiled rich kid during the Mexican revolution, Archibaldo was reluctantly raised by a pretty governess with whom he frequently clashed. 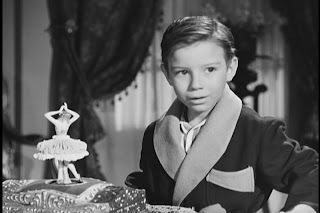 One day his parents give him a music box and the governess tells him a fairy-tale about how the original owner could play the tune and then strike enemies dead through thought alone. As she speaks, Archibaldo opens the music box and a stray gunshot from the fighting outside snuffs out her life. Archibaldo is thereafter convinced that he is a cold-blooded killer, a fixation confirmed by a string of similarly fatal coincidences throughout his life. Archibaldo oscillates humorously between wanting to satisfy his criminal and sexual desires and wanting salvation from them. He sees women merely as a means to gratification or redemption and he pursues stunning beauties towards both ends, but without satisfaction. They step on his pride, he vows revenge, and they inevitably die before he can kill them. Archibaldo still blames himself for their deaths, and so he’s plagued with ever mounting guilt. He remains blind to his true crimes, pride and selfishness, and ultimately lacks remorse. 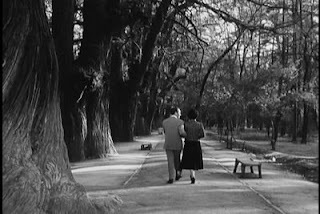 Bunuel, who never fails to get the last laugh, flaunts the legal verdict as equivalent to moral one, rewarding Archibaldo with a happy ending that implies the possibility of an unearned romance. 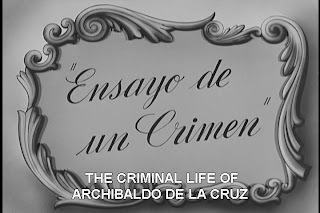 “The Criminal Life of Archibaldo de la Cruz” has fewer of Bunuel signature surrealist sequences than some of his better known works. There are several scenes where we see Archibaldo carry out murderous plots (which are often symbolically loaded and a little weird), which we later discover take place only in his imagination. 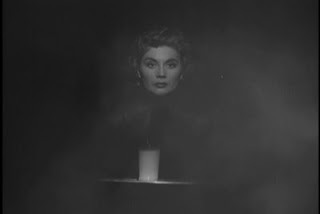 These scenes are absent the non-sequitur cuts and freeform imagery of dream sequences, as Bunuel intentionally makes them disturbingly indistinguishable from reality. The only exception is a fantasy that takes place in a featureless fog, perhaps a way to show how absorbed Archibaldo becomes when overcome by his compulsions. Perhaps my favorite surreal touch is the music box tune that rises unbidden in Archibaldo’s mind and sounds like its off-key, slow-motion and underwater. I suspect that Bunuel was managing to fit enough of his satire into the literal narrative that he didn’t feel the need for as many of fantastical digressions. Indeed, the film works pretty well as both comedy and thriller in a way less jarring (if less exciting) than his more eccentric work. The black and white cinematography is highly polished, demonstrating a higher budget than Bunuel had managed prior to the 1950’s. 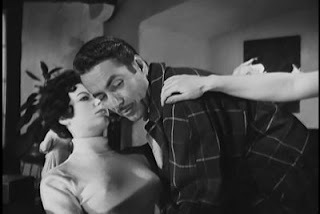 Like “This Strange Passion” (1953) before, “The Criminal Life…” makes heavy use of architecture (though less Dali-esque here), particularly Archibaldo’s cavernous estate and the ritzy nightclubs and gambling joints that he frequents. In keeping with his inability to form sincere human relationships, Archibaldo is defined largely by setting and inanimate objects. The luxuries that surround him in his mansion, his tailored suits and his sports car mark his as a member of the wealthy elite, but his music box, razorblade and a manikin replica of one of his intended victims all give physical expression to his warped perspective. * Of course, if there are any distributers out there reading, I’d prefer sooner rather than later. Google Chrome sure made a mess of my formatting on this one. I apologize for not catching it until several days later (the post was set up an automatic). Enjoyed your review a lot! 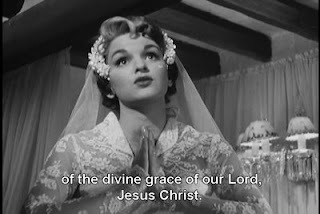 I've been revisiting some of my favorite Bunuel films recently and discovering new things to love about them. I realy enjoy his work because there's so many layers to it and The Criminal Life of Archibaldo de la Cruz sounds fascinating. It's wonderful how, even when he had some specific cultural or political circumstance in mind that isn't as apparent today, his satire still carries over. The humor and surrealism really works for me even when I'm not sure I understand what it means, often because his visuals were so strong. I think he had a certain genius walking that fine line between symbolism, psychology and a sort of wtf factor. Anyway, you're sure to enjoy this one. I can recommend the DVD set I mentioned.